You may like or dislike social networks, but no side of the ‘likability axis’ will make your business resistant to their effects. 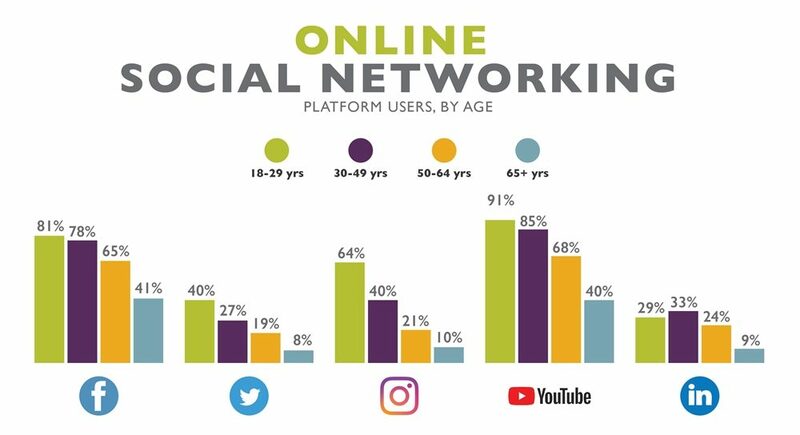 Platforms such as Facebook and Twitter are rapidly shaping market’s landscapes (alike Google did a decade ago), and it is up to them to push forward the marketers that know how to optimize online presence. As Hearsay Social’s founder Clara Shih explains in her book ‘The Social Business Imperative: Adapting Your Business Model to the Always-Connected Customer’, there is no bigger danger for an ambitious company than allocating digital tasks to isolated teams. Social platforms, she proceeds, pack the future of business intelligence, but their unused opportunities still go up to $1.3 trillion in business value. Translated to competitive terms, this equals a golden mine for modern marketers. In times like these, when social monitoring technology equals pretty much reading customers’ minds, it is only businesses that work around interaction that eventually make the big bucks. While optimizing the benefits of social media, they’re actually optimizing the consuming potential of their audience, and leave noncompetitive marketers far from the spotlight. Does social media matter to your business too? Social platforms will help you convey your message much more efficiently than traditional advertising, making sure that you will also get immediate feedback, and learn who you’re dealing with. Best social media monitoring tools, thereof, turn even the worst performing businesses into successful society listeners, and transform marketing in a tool that promotes, but also develops vendible products. What is more, customer analytics cease being inoperable intelligence wrapped up and distributed by few experts, and become a 100% accurate privilege of the entire team. What can a social media monitoring system do for your business? In theory, best social media monitoring tools measure the ‘social value’ of your services, and provide important traffic insights you can use to improve your decisions. In practice, they assign monetary values to specific on-site activities visitors perform after being referred by a social platform, with purchase and conversion being the most important of them. Jamie Roberts, insight director of We Are Social, also stated that social media is today’s leading armory to understanding conversion triggers, capturing influencers and profitable trends, and of course – learning how to raise brand awareness. The choice of suitable social monitoring technology depends on a variety of factors, and inexperienced businesses may be seriously challenged to decide what works for them. To facilitate the process, we’ve prepared this list. What are the 20 best social media monitoring tools of 2019? The top performer in this category HubSpot offers an inbound marketing & sales solution that automates a number of campaigning operations next to social monitoring. The compact package is ideal for small, medium, and large product teams interested to optimize all of their resources, and thus covers also email marketing, lead management, SEO, and complete lead-to-deal control. In terms of social media monitoring tools, HubSpot Marketing provides businesses the possibility to monitor important conversations and relevant mentions on a variety of platforms; automate engagement tracking; and schedule their posts for publishing at the most appropriate time for visitors. Using the very same tool, they can design appealing calls-to-action and measure their performance to optimize click-through rates on the long run. HubSpot Marketing is also a system to rely on when it comes to precise advertising, as its tools help measure the ROI of AdWords and Facebook ads, and wrap up the reasonable investment amount for any business. As for content, HubSpot intents to speed up both creation and distribution, and optimizes your blog posts so that you don’t have to do it. All data is directly synced with Salesforce, which, on its behalf, scores and examines leads to reveal those that need the most attention. Last, but not least, HubSpot Marketing is a reasonably priced system, both when purchased as a standalone service or in line with other products. You can easily get a free trial of HubSpot here. What is unique about HubSpot Marketing? End-to-end marketing automation. HubSpot’s marketing automation goes beyond traditional email marketing, as it allows users to design their own workflows, prepare, format, and publish content, and seamlessly integrate contact profiles and information to make the most of their campaigns. Personalized lead management. HubSpot Marketing is, in fact, a ready-to-use and fully-equipped marketing channel where you can track and nurture leads throughout their entire journey, segment them, and evaluate their behavior in a more personalized way. Ease of use. Instead of imposing long and expensive training, HubSpot Marketing is ready-to-use from the very first moment you’ve set it up. Teams get an intuitive dashboard that packs all important operations, and all they have to do is to create an account, place contacts in the most appropriate stage of the funnel, and let the system score them. Email marketing features. HubSpot Marketing offers a powerful email marketing feature that lets the user prepare both static and dynamic HTML messages, customize them in accordance with his customers’ persona and behavior factors, and thus get the response he needs. SEO optimization. HubSpot’s keyword research tool will let you enhance your websites, blogs, and social media profiles with SEO optimized content, and distribute it to right audiences in the right time. Part of a large productivity suite. HubSpot Marketing is best suited for users in need of a compact sales/customer management solution, as it works in synergy with all of the company’s products (CRM, Sales, Business Card Reader). BuzzSumo is the leading content & influencers research tool for modern marketers trusted by brands such as Yahoo, CapitalOne, National Geographic, The Telegraph, and many others. You can use it to identify quickly content that works for your audiences, collect insights, and uncover opportunities with little to no market experience. The system is best known for its well-organized and intuitive interface, as well as applicability in diverse industries and publishing environments. With BuzzSumo, you can share your activities across all leading social networks (Twitter, Facebook, LinkedIn, Google Plus and Pinterest), and look for influencers in any topic area. You can also track the progress of your competitors and compare it to your performance, and pull off detailed analysis on keywords and content published in a particular time lapse. The system will also offer an index of constantly updated social backlinks, and trending data that may be interesting to your customers. What is unique about BuzzSumo? Full overview on search engines’ preferences. BuzzSumo is a great system to consider for your marketing strategies, as it researches trending practices and opportunities, and gives you access to such content that could attract customers quickly and efficiently. Distributing effective content. BuzzSumo blends the content you’re publishing with your exact marketing needs, making sure that every single piece you post attracts attention. Because of this, it will be most useful to content creators and content curators looking to save time and resources, and yet post regularly on all important channels. Locating important influencers. BuzzSumo specializes in influencer amplification, meaning that it can find influencers in any topic area, and review the content that was published by them. Competitor alerts. With competitor alerts, BuzzSumo helps you access and utilize sources more efficiently, and way before your competitors get there. It is the right choice for those interested to become leading market influencers. For instance, you will be immediately informed that a target keyword has reached a certain threshold. Competitor analysis. With BuzzSumo, you can track closely what you’re competitors are publishing, measure how their content is performing (in comparison to yours), and analyze in detail the strategies they’re developing. Google employs one of the easiest social media tracking methodologies known as Alerts. Available to individual and business users, and accessible for free, Google Alerts certainly counts as one of today’s leading social intelligence systems. All you need to do is to enter a search term or event, and you will have alerts sent to your email in real time. The service is, of course, accessible only to Gmail users. Google Alert’s core function is web monitoring, ideal for bloggers and vloggers to keep their content trendy, fresh, and regularly updated. You can also use it to monitor relevant discussions, YouTube videos, or mentions on news websites. Instead of receiving alerts in real time, you can also schedule your Alerts account to prepare feeds on a weekly and monthly basis. As expected, the product works in synergy with all GSuite products. What is unique about Google Alerts? Absolutely free to use. Despite of being one of world’s best known web intelligence giants, Google Alerts is free for all users with active Google accounts. Real-time monitoring. Google Alerts monitors and follows closely news sites, blogs, videos, and discussions that could provide you with important content. Result are available immediately, but you can also schedule newsfeeds on weekly and monthly basis. Sharing and distributing alerts. Google does not only send feeds to your email account, but also gives you the possibility to forward content or create RSS feeds upon need. Remember, however, that the accounts you’re distributing feeds to must be connected to your Google account. Hosted in cloud, and easy to use. Google Alerts doesn’t deprive much from Google’s traditional ease of use, and offers an intuitive, familiar, and clutter-free interface for you to work on. The system is web-based, and can be accessed from any device or operating system. A very large user community. Regardless of your social media experience, you will be able to optimize the potential of Google Alerts by simply following the feeds of its million+ users. Google Alerts has a large net of clients, partners, and contributors, and is without doubt the most discussed web intelligent tool nowadays. Zoho Social is another member of a large and famous productivity kit, and a safe choice when it comes to maximizing the impact of your online presence. Affordable and easy to use, Zoho Social is a preferred alternative to small and large businesses, which also get to tweak it until it meets their exact social monitoring needs. With Zoho Social, you can manage several social networks at a time, schedule as many posts as you need, monitor keywords and key phrases of interest, and trigger real-time communication. In this way, Zoho Social helps promote your brand in front of the right audiences at the right time, and measures your performance to ensure you’re using the right methods to engage them. Powerful media publishing. Zoho Social was developed to help businesses create compelling content and automate their publishing tasks. Posts can be published instantly or scheduled for different social networks from a single compose window, which also shows the percentage of top engagers likely to view the post at specified time. SmartIQ/prediction engine. The purpose of this feature is to determine the time when audiences are most likely to read or check a post, and to adjust Facebook posts to particular time zones and locations. A bulk scheduler is also included to create and schedule multiple posts. Powerful search tools. Zoho Social’s Search and Monitoring tools help discover new business prospects and track competitors, hashtags and events, and then save those for future reference. Users will also get a Brand Inbox that stores all of their messages and conversations, regardless of the social network in question. SocialShare extensions for Chrome and Firefox. These unique extensions are among Zoho Social’s most appreciated features, as they allow users to instantly share content right from the browser without leaving the window. Fully mobile optimized. Zoho Social is made available to native Android and iOS device users, who can access data, post and content even when out of the office. Qwaya is a Facebook and Instagram tracking tool designed for professionals which also features a high-tier advertising analytics platform for other social networks (funnel.io). Shortly after you’ve installed it, Qwaya becomes a reliable and trustworthy marketing partner that helps you create and schedule campaigns, set up your own rules, test your marketing strategies, and target more users. Most of its features are, in fact, unique in this industry, including the possibility to auto-rotate ads in social networks, plug-and-play an integration with Google Analytics, and build your own custom URLs. Creative agencies will also benefit from the possibility to split-test ads and campaigns, and export reports to Excel. 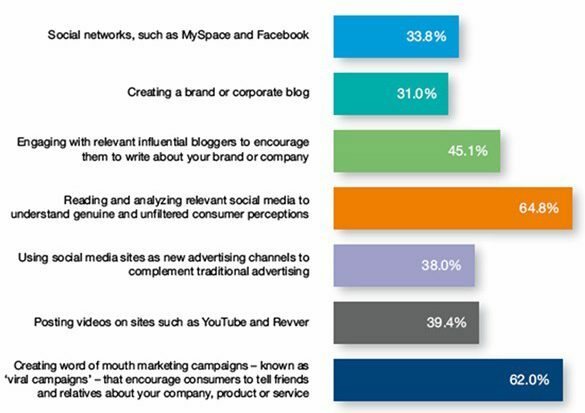 Note, however, that Qwaya targets predominantly large marketing teams and enterprise. What is unique about Qwaya? More effective targeting. Qwaya helps you find the right audiences for your content and ads, as it automates targeting and splits it in granular segments, so that you can easily determine which posts are performing the best. Using this intelligence, you can modify your text and make different combinations depending on what customers prefer at that specific moment. Testing all types of ad and placement. Being a social intelligence tool, Qwaya specializes in testing ads and placements, among which both News Feed Ads for your website and Mobile App Install Ads. Later on, it combines those ads automatically and arranges them in folders, so that you optimize return, and have your campaigns ready in time. Tracking ad performance at your own terms. Qwaya uses a Google Analytics model of ad tracking, which means that it will either track the URLs of your ads, or let you set custom terms and variables to see how those ads are performing on social networks. Having all your Facebook assets neatly organized. Qwaya empowers better automated collection and organization for all your Facebook assets including all your Ad accounts, Pages, Apps and Events. A/B testing. Another unique feature Qwaya has to offer to its users is accurate A/B testing, both when it comes to ads’ performance and audience data. Hootsuite is touted by many website owners as the number one social media management & monitoring system, and for a good reason. Many user scenarios and case studies have confirmed the capacity of this system to build up and grow user communities, and turn rather indifferent businesses into competitive performers, which probably explains how Hootsuite got to serve as many as 15 million sites. The methodology used by Hootsuite is rather simple: it listens to your audience, and shows what you should be focusing on. After that, it monitors your performance and compares it to the one of leading competitors, making it possible to discover great opportunities, and keep users tightly engaged. With prices as low as €10 and €20, Hootsuite is your best bet for measuring social ROI. Global operations. Hootsuite is without doubt one of today’s leading social media monitoring systems, as it operates in more than 175 countries, and serves an incredible number of ten million users. Reviews responses and manages interactions on more than 35 social networks. With Hootsuite, you can post content, engage users, and monitor interactions on over 35 popular social media, including Facebook, Twitter, Foursquare, LinkedIn, YouTube, Slideshare, Flickr, YouTube, Google+, Tumblr, Reddit, and many more. The platform can also be connected with any WordPress blog or website. A single dashboard to manage all social profiles. Hootsuite makes business easy, as it collates the information from all social networks you’re using on a single dashboard, and automates posting for all of them. Measures your social ROI. A distinctive advantage that can be ascribed to Hootsuite is the possibility to measure social ROI, and make more confident marketing decisions. The tool offers detailed, real time analytics of your performance on social networks, and follows closely how different users interact with your content. Free to use. Users managing up to 3 social profiles, and looking for nothing more than basic social analytics and app integrations get to use Hootsuite for free. Transition to a paid plan is also made painless, with several packages starting as low as $8.99 per month. AdRoll shortens the way from a new lead to a loyal customer, and specializes where marketers need all the help they can get – retargeting and reengaging their leads. Over 35,000 agencies worldwide have entrusted their marketing performance to AdRoll, and praise the access to 500+ ad exchanges, and native inventory alike Google, Twitter, Facebook, or Instagram. Available in various languages and usable by teams of different sizes, AdRoll ensures full control and transparency of the process of ad placement and campaign fine-tuning, as it monitors each aspect of your performance, and integrates seamlessly with all of your marketing apps. A proprietary, real-time bidding algorithm BidIQ is also put in place to ensure ads are placed in the right spot, at the right time. What is unique about AdRoll? Retargeting high-intent visitors. AdRoll makes use of connections across devices, allowing you to retarget those high-intent desktop website visitors on their mobile devices as well. In-app retargeting is also available thanks to AdRoll’s partnerships with leading mobile analytics and measurement providers to make your campaigns easy and effective. SendRoll. The system’s dynamic and highly-personalized ads will further facilitate your retargeting efforts, in particular the SendRoll feature that examines customer behavior, and lets you know which are the exact email messages you should distribute. More than 500 ad exchanges. What AdRoll is best known for is open access, as it puts in place over 500 ad exchanges (including native inventory like Google, Instagram, Facebook, and Twitter) and keeps you connected with customers regardless of the device you’re using. Proprietary bidding algorithm. With AdRoll in place, you won’t have to worry about performance engineering. The system uses a BidIQ algorithm to ensure your ads get the right placement for the right price, and saves both your time and your opportunities. A partnership for success. AdRoll is not simply a social media management service you’ll be using, but a reliable partner that will provide you with strategic advice. As a user, you can always contact the company’s experienced agents, and ask for their assistance. Referred to as a detailed marketing automation system, SharpSpring pleases users with excellent lead collection and conversion capabilities. It is also one of the leaders in this category, having in mind how fond the expert community is of its distinct automation rules, excellent tracking schemes, and form builders on the CRM side. SharpSpring claims to be capable of tracking and bringing in customers you haven’t even considered, by enabling you to distribute properly tones of dynamic and well-organized content. Website owners may also be interested to know that SharpSpring works in synergy with all leading CRM and CMS platforms, and its forms are embedable on all websites and social profiles. What is unique about SharpSpring? Email marketing. SharpSpring replaces blast emails with highly personalized and on-point messages, so that customers will always pay attention to the content you’re sending them. You can use any of the system’s premade templates to prepare your messages, or draft custom ones instead. Dynamic lead capturing forms. SharpSpring uses dynamic lead capturing forms to collect information, and to find out what customers really want and expect. Its drag-and-drop editor allows you to build, customize and reorder the fields as you desire. Moreover, some of the fields are already filled for the returning visitors by the SharpSpring software. Lead scoring. SharpSpring does not only collect and segment leads, but it also scores them to let you understand where your attention is most needed. To do so, it pays attention to the leads’ location, preferences, interaction history, and other custom metrics. Possibility to integrate it with any social network, and embed forms on your profiles. SharpSpring’s flexible and open API infrastructure lets you build all the integrations you need in a relatively streamlined process, which means that it can collect intelligence from virtually any social network. Marketing automation. SharpSpring eases the process of marketing automation by optimizing your current workflows, and employing them for the purpose of lead engagement on carious stages in the buying process. Sysomos is also a safe choice for those looking to measure social media performance, and turn it into operable intelligence. Designed to resemble a traditional and easy database, and yet equipped with in depth and very visual analytics, Sysomos combines everything an online business needs to promote service to wider audiences. We’ve considered it due to its possibility to discover, listen, and engage users equally on all owned, earned, and paid-for media, but this is only a brief portion of what it can do for you – Sysomos is one of today’s most recommended system for drawing social insights, surfacing relevant mentions and conversations, and publishing quality content at a scale even if you’re working alone. What is unique about Sysomos? MAP. MAP is Sysomos’ well-known social research and analytics engine that offers the largest database of indexes and conversations on social networks. Despite of being massive, this database is easily searchable, and still gives you the clear picture of the people and conversations that will matter to your brand. Heartbeat. Heartbeat is Sysomos’ real-time engagement monitoring tool. The ultimate goal of this tool is to collect all relevant information online, so that companies can track and measure activity around their brands and products. Scout for Facebook. Scout is another unique feature that offers Facebook trends and topics analysis with aggregated and anonymous data. It helps you understand how Facebook users interact with your brand/product, as well as with the one of your main competitors. Gaze. Gaze is a feature designed for image monitoring, but also social media analytics, campaign management and reporting. What it does is to track important images across social networks, and bring them together on the same dashboard. Expion. Last, but not least, Expion provides marketers the tools to discover top performing content, plan upcoming campaigns, engage with audiences and measure paid and organic metrics for audience targeting in near real time. Try to Google up top performing social monitoring tools or referred to practices, and Crimson Hexagon will certainly appear high among your results. Throughout the years, Crimson distributed role-model social monitoring & management services, and still counts as a best-of-breed performer despite of its slightly higher pricing quotes. It was designed for identifying growth opportunities, which, according to its developers, hind behind the needs and wishes of wide audiences. To do so, Crimson improves the quality of your entire campaigning strategy, and offers one of the biggest social data libraries to work with. You can also use it for image & sentiment analysis, and prepare optimized content for deeper engagement with your audiences. What is unique about Crimson Hexagon? Unlimited social posts. Designed for enterprises and international performers, Crimson Hexagon imposes no restrictions to as how many posts you wish to schedule, track, and analyze. Currently, it is being used for the management of over 2 billion social posts on different social networks. Identifies growth opportunities. Crimson Hexagon brings forward important social data insights that will help you improve your marketing strategies, and make use of the market’s valuable growth opportunities. Identifies customers’ interests and motivation. The uniqueness of this system is that it defines exactly what motivates users to look for and engage with your content on various online portals. Top do so, it tracks the impact of your brand, the sentiment in social conversations, and the trends that can have an impact on your product. On demand data library. Crimson Hexagon indexes and saves useful data in their own library which is accessible to clients on demand. Companies are not charged extra money to access or use this data. Collects and analyzes data from all prominent online sources: Facebook, Twitter, Instagram, YouTube, Weibo, Blogs, Forums, News, Comments, Reviews, and websites. A list like this would not be complete without Meltwater, our experts’ leading recommendation for distributing content, and launching meaningful and informative conversations in the social media world. The unique capability of this system is helping you target important journalists and influencers, reaching to the press through wire service and then measuring the impact of your content. Meltwater will afterwards summarize all of your coverage on a well-organized dashboard, where you will also draft and schedule social media posts, and track important engagement metrics. The system is particularly known for its Pulse reports, namely enterprise-grade analytics on your environment and competitors prepared by Meltwater’s experts. What is unique about Meltwater? Real-time monitoring of trends and competitors. Meltwater allows users to track their brand, the competition and relevant news as it happens in real time. There is information on the coverage by location, media exposure over time, those who have been writing more about the brand, and brand sentiment as well. Customizability. Unlike traditional systems, Meltwater gives users the possibility to build their own dashboards that can effectively measure their success in their marketing strategies. Measuring brand reception levels. With Meltwater, users can track an evaluate their brand’s reception, where the brand’s most receptive audiences are located, track media coverage, measure level of return of investment, and compare performance to the one of their competitors. Effective discovery with Boolean queries. Meltwater uses advanced Boolean queries to effectively search or discover possible brand, product, and executive mentions, influencers, market-related topics and themes, competitors, customers and prospects, and current events. A unified inbox for all conversations. Meltwater offers a unified inbox and automated communication chains that combine the social media presence and activity of each of the team members, and helps monitor and evaluate their progress. If you’re not sure whether a social media monitoring tool could enhance the effectiveness of your work, Brandwatch is for sure a system that will make the difference obvious. Right after you’ve launched it, Brandwatch pinpoints the crucial brand awareness mistakes you’ve been making, and suggests workaround solutions that will improve your performance. Technically, this means that you will be able to understand customers and drive the right product innovation, and conduct through market research before launching any of your campaigns. In such way, you will always have an adequate reaction to both positive and negative market trends. What is unique about Brandwatch? Wide online coverage. Brandwatch connect easily to a variety of online portals and sources, including news sites, forums, blogs, and social networks like Twitter and Facebook. From those, it collects customer data, and processes it with features such as categorization, sentiment analysis, charting, and many more. Access to 90 million sources. The company uses advanced proprietary technology to gather data, and guarantees full access to more than 90 million sources. Among these sources is Twitter’s “firehose”, which allows businesses complete coverage of tweets that were sent out using Twitter. The data generated allows you to track trends, look at campaigns, and assess competitors. Detailed data analytics. Brandwatch offers an advanced suite of features allowing business data to be chopped and sliced in order to provide you with useful insights, through categorization, graphing, geolocation, metadata, as well as countless other components. Full adaptation to customers’ demands. Another factor that sets Brandwatch apart is its ability to adapt to suit customer demands. As the company does not outsource its data or development, Brandwatch is being updated on a fortnightly basis with new features. If Brandwatch becomes aware of a new need or demand that may arise at little notice, it is better positioned to be agile enough to implement the necessary changes. 22 Bolean Operators. Brandwatch uses even 22 advanced Bolean operators for the purpose of creating specific queries, which makes it more flexible than the most of its traditional competitors. Synthesio attracts attention mostly with its globalized performance, as this is one of the very few systems that operate in different languages, and monitor networks across all geographies. Thus, it is best suited for large and international businesses, and very likely to push ahead those interested to become such. In brief, Synthesio listens to what customers and fans have to say about you worldwide, and uses their information available on social media to enrich your database. To improve brand awareness, it also measures the impact of your social activities, and allows you to trigger collaborative functions and improve the performance of your entire team. What is even better is that you get to integrate it with all leading productivity systems. What is unique about Synthesio? A unique social intelligence gathering methodology. Synthesio uses social KPIs to track your online reputation and to measure the ROI of each of your social activities. Throughout the process, it focuses only on the conversations and people that matter to your brand, nurtures customers, leverages influencers, and mitigates against crisis. Brand health evaluation. Synthesio offers the simplest brand health evaluation methodology, as it segments audiences, and measures the reach of your online and offline events to eliminate all possible threats, and to stay ahead of trends. Share of voice. Share of Voice is Synthesio’s feature that helps you measure how much conversion your brand is driving, and thus indicates the relative popularity of each topic and subtopic by giving mentions a quantitative value. In this way, you will know the exact position of your product within the competitive landscape. Social reputation score. Synthesio helps you understand what customers think and how they feel about your service, by measuring their experience, and predicting business growth based on your brand’s current health. The system’s influence metric SynthesioRank assists this process, and calculates the social reputation score of each product. Synthesio Beam. Synthesio Beam is another interesting feature that visualizes social media data in real-time, and makes t accessible to all team members. Basically, you will have all comments, mentions, and images appearing on your dashboard in real time, and be able to react accordingly. SproutSocial is a small-biz friendly social listening system that empowers you to launch, join, and keep up quality social conversations. Its top notch feature is Social customer service, a live media portal for customers where you can quickly respond to their questions, and fix issues as soon as they appear. These are only two of the ways in which Sprout Social makes your online presence effective, as the platform is also equipped for executing and optimizing marketing strategies, managing clients’ portfolios, and preparing and posting optimized content on Facebook, LinkedIn, Twitter, and Google+. The tool is also ready to use on mobile devices. A well-organized dashboard. One of the greatest benefits of acquiring Sprout Social is that you get to have a well-organized dashboard, where the subject area is distinctively divided into six sections: Messages, Tasks, Feed, Publishing, Discovery, and Reports, that can help you in knowing where you stand with your customers and prospects. Social Customer Service. What is really specific about Sprout Social is its Customer Service feature, namely the possibility to establish and manage conversations with customers on several channels from the comfort of the Sprout Social account. Social media management made easy. Sprout Social is a very friendly and easy to use marketing platform where you can promote and distribute content, and publish it directly to a variety of social networks. A variety of monitoring tools will be available to source qualified leads and launch valuable conversations. Collecting authentic and meaningful feedback. With the help of Sprout Social, you can easily build your business in a better way as you can obtain authentic feedback that can lead you towards the betterment of your product. Team-wide content management. Sprout Social offers builtin message approvals and collaborative calendars to ensure that everyone in the team knows exactly how a campaign is progressing. Another smart marketing system that caused a fuzz among the users’ community is Cyfe, a business intelligence platform that also covers social media stats and indicators. As developers like to put it, Cyfe helps monitor virtually everything, from the performance of individual agents and departments, to customers’ activities on your websites, blogs, and social media profiles. You will also find Cyfe handy to pull in data from custom data sources, export your insights in the desired format and to the preferred device, and store all summaries you’ve created in a database where they will never get lost. Cyfe is also ideal for large teams, as it gives them full visibility of the company’s progress, and a variety of collaboration-friendly assets. What is unique about Cyfe? Out-of-the box monitoring & analytics. Cyfe is a comprehensive data processing system performs out-of-the-box monitoring on multiple websites, and provides detailed insights on your social media profiles, email marketing channels, web analytics, SEM, SEO, and much more. Pre-built data collection widgets. Designed predominantly as a business intelligence system, Cyfe comes with a vast array of pre-built widgets that hep collect data from widely used services, including foremost Salesforce and Google Analytics. The user can nevertheless apply custom widgets or the system’s Push API to secure display from homegrown organization databases. Comprehensive reporting. Cyfe is best known for detailed reporting, as it summarizes data on comprehensive dashboards, compares it, and allows you to share it with your managers, clients, partners, or anyone that wishes to be in the loop of the company’s operations. You can also categorize, store, and share your reports in all desired formats. Collaborative TV mode. Cyfe offers a unique TV mode feature, used to automatically rotate dashboards on your big screen monitor. This makes Cyfe the ideal tool for meetings and collaboration. Customization. Cyfe is a very flexible and user-friendly tool, which means that you will also be able to customize it according to your needs, draft branded reports and adjust dashboards’ backgrounds, but most of all map your domain name. If looking for an easy and affordable social media monitoring tool, look no further than AgoraPulse. This platform does not only pull out social intelligence, but it is also crafted to resemble a fully-featured social newsfeed where employees have complete visibility on all issues and discussions. What this platform does is to help you prepare interesting and optimized content and distribute it on social media, listen to your customers’ and engage them in a personalized manner, and make sure you’re always a step ahead from your competitors. As expected, AgoraPulse also offers a compact reporting suite, and lets you measure your activity for even better results. End-to-end management of your Facebook, Twitter, and Instagram account. AgoraPulse gives you a broad range of tools, ranging from Facebook applications, analytics, and content automation, and makes it possible to manage all of your social profiles and messages from a single dashboard. Measuring all types of audience engagement. With AgoraPulse, you are able to see how many comments, messages and tweets you have received and you have to do is read, reply, delegate, or tag. All conversations can be managed in 15 minutes or less, giving you tons of time that you can use on other pressing issues, concerns, and tasks. Scheduled publishing. AgoraPulse enables scheduled publishing of all types of content, and monitoring all posts on a single, well-structured calendar. In such way, you will not only automate your posting activities, but also make sure that content is distributed among the right audiences, in the right time. Discovering brand influencers. Using AgoraPulse, you can effectively monitor and scour your social media networks for commentaries and mentions, and capture opportunities and discover influencers in real time. Team functionality. AgoraPulse makes social data accessible to all team members, and employs a number of collaboration features to facilitate teamwork. Buzzlogix is a two-in-one social media management and monitoring tool applicable in diverse business environments. It owns the reputation of a powerful engagement system, which it owns to functions such as tracking conversations, monitoring product awareness, and comparing performance to the one of your competitors. Its wizard-based configuration allows you to tailor it to your needs, and trigger scheduled and automated posting based on special notifications and hashtag suggestions. The very same system performs sentiment and text analysis, and keeps you in line with the hottest trends and opportunities in your niche. If ready to learn more, Buzzlogix offers some great online training possibilities. What is unique about Buzzlogix? Buzz Radar. Buzz Radar is Buzzlogix’ most popular feature, in fact a receptor developed exclusively to capture customer requirements, and notify you about them. In such way, Buzzlogix helps you get real time insights in your products and your brand. A keyword monitoring tool. Buzzlogix is also equipped with a keyword monitoring tool that reveals where and by whom you’re brand’s been mentioned in popular social media. Collecting and organizing all types of social data. Buzzlogix keeps you in line with the latest online trends, brands progress, potential crises, competitors and much more. With this smart analysis system working for you, your social media campaigns will be a lot more effective and you can avoid any potential threats. Availability in 20+ languages. At the moment, Buzzlogix’ services are available in over 20 languages, and thus make it possible to gather social intelligence and engage customers across different geographies. Quote-based pricing. With Buzzlogix offering no fixed packages with predetermined features, future customers are invited to submit quote-requests based on what they need or can afford. Digimind Social helps marketers understand and engage audiences, analyze and test sentiments, and monitor market trends. The compact monitoring package works with the content you already have, measures its performance, and makes sure you’ve optimized it as much as possible to attract customers’ attention. At the same time, it examines how audiences interact with it on different social networks, providing you with exact numbers and patterns for each post or publication. Using it, you can also prepare custom versions of all standard reports, and have the clear picture of your online reputation at any moment of time. Next to Social, Digimind offers an Intelligence module for practitioners to measure each aspect of their performance. What is unique about Digimind Social? Following unlimited online sources. Digimind Social monitors unlimited social media and web sources and sort mentions by reach, making sure that you will be informed on every mention or conversation that matters to your brand. Forecasting trends and opportunities. Digimind Social focuses on sentiment, and makes it possible to predict the success of an individual campaign, event, or product launch. The platform will help you predict and prevent downfalls by clustering online information the very first moment it goes online. Proprietary TopReputation module. Digimind’s popular proprietary Top Reputation module helps brands understand where they rank on the market, as it follows in real time what customers are interested about, and what they want to know about that brand. Excellent content analytics. Digimind helps you understand what is wrong with your content, as it analyzes and benchmarks all of your social accounts, and follows closely how readers interact with your posts and publications. Integrated intelligence module. For intelligence practitioners, Digimind offers a separate analytic module for all sorts of analyses and premade/custom reports. Madgicx is an ideal choice if you’re looking to fully leverage the potential as well as your return of investment with Facebook advertisements. This full-stack Facebook advertising solution uses smart automation capabilities to help you confidently take your business to new heights without straining your financial resources. The software can competently adapt to your advertising budget to match good advertising opportunities and immediately reverts to your standard budget as needed. This allows you to quickly capitalize on key opportunities without the risk of overspending. It also provides accomplished adsets, detailed metrics regarding your advertising activities, and more. Smart Audiences. Build winning adsets with ease. The software streamlines the way build your target audiences list. Intelligent reports. It features detailed and comprehensive reports that illustrate your advertising activities, performance, spend, and other metrics that are critical to your business. Simple client portfolio management. Manage your client portfolio on a singular dashboard. Facebook ad automation. It automatically adjusts your adset budget to help you take advantage of advertising opportunities. Configurability. You can easily configure the platform to meet your requirements. CivicFeed equips businesses with insights regarding all conversations, trends, and the prevailing sentiments pertaining to their brand. This social media monitoring and listening solution leverages artificial intelligence to scan thousands of pages on the internet to discover discussions about your products and services. With this at your disposal, you will be able to understand how to improve your social media engagement as well as what customers want from you. Lastly, it has a simple and powerful setup process which allows you to utilize it without the need for extensive technical knowledge. What is unique about CivicFeed? Powerful crawlers. The software scans hundreds of thousands of web pages daily to find conversations about your brand. Its wide coverage allows you to gather a large amount of insightful information to drive growth to your business. Influencer identification. It allows you to pinpoint the people who are talking about your brand. This includes journalists who wrote articles about you or social media influencers who have mentioned you. In-depth analytics. To help users understand their company’s standing among customers, CivicFeed analyzes each mention about your brand online. With this, you can get a better idea of what phrases you are being associated with, how people are talking about you on social media, and more importantly, how you can use these information to your advantage. Real-time alerts. The software provides users with real-time alerts to your email or Slack account on any information you need for social media monitoring. Uncluttered workspace. It allows users to keep their workspace neat and organized by placing specific types of mentions in separate folders. It even comes with an intelligent filtering system so that you can find articles according to your preferred criteria.